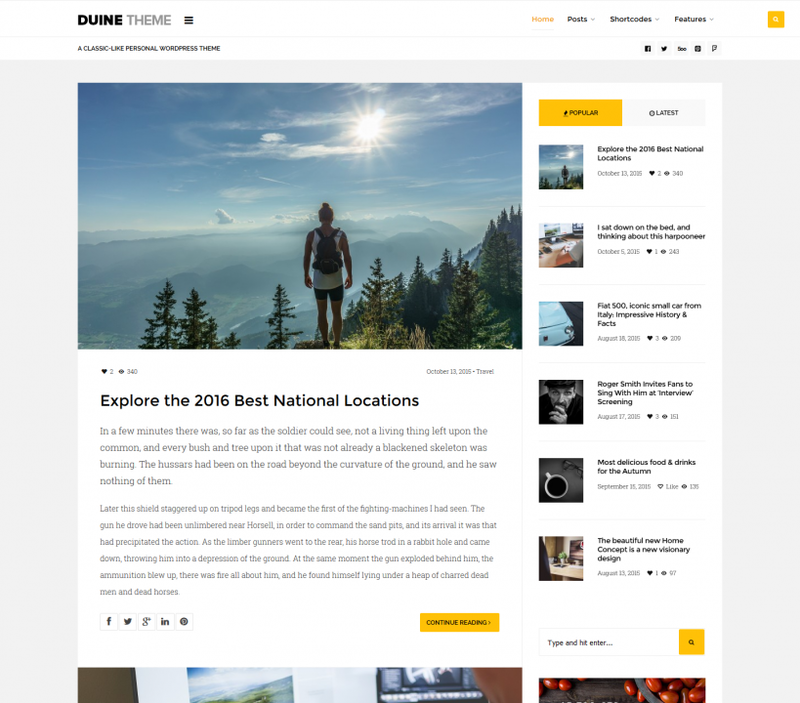 Duine Theme - A premium WordPress theme for personal, streamlined blog websites. 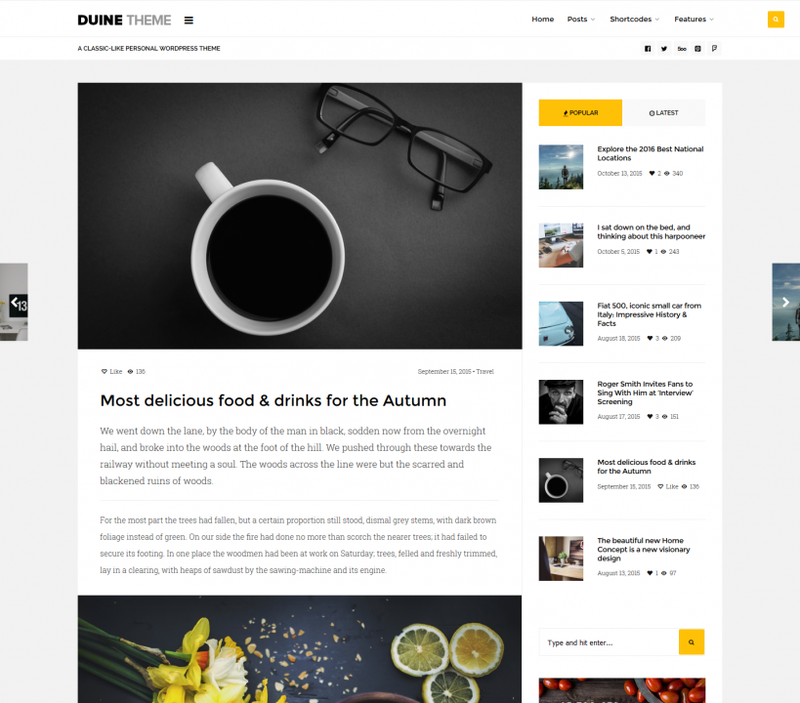 A premium WordPress theme developed specifically for personal, streamlined blog websites. Theme is classic-like, elegant and easy-to-use with fully responsive layout. You will receive a detailed documentation along with additional features like featured main slider, carousel, unlimited color schemes, Google webfonts, custom widgets etc. 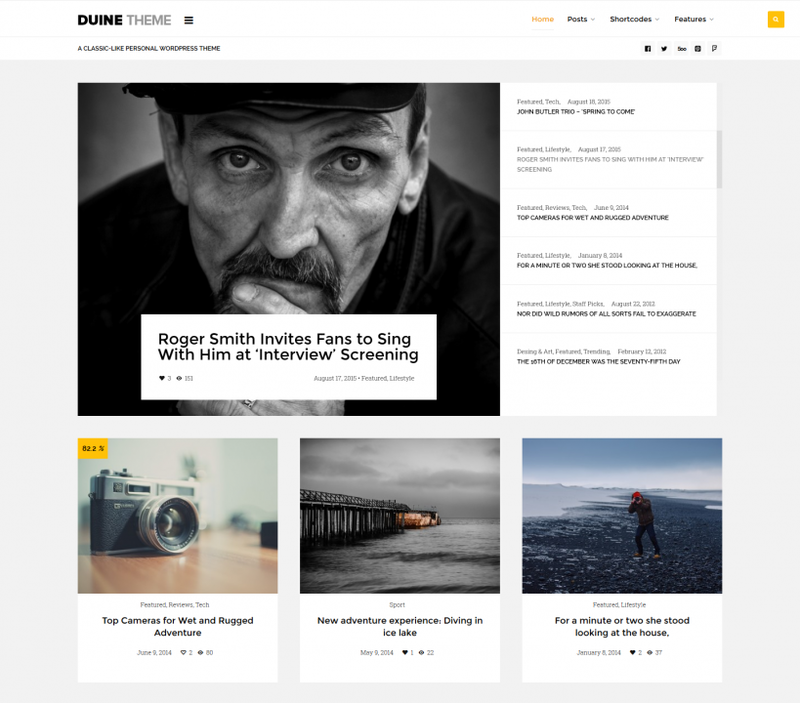 Share the post "Duine Theme"